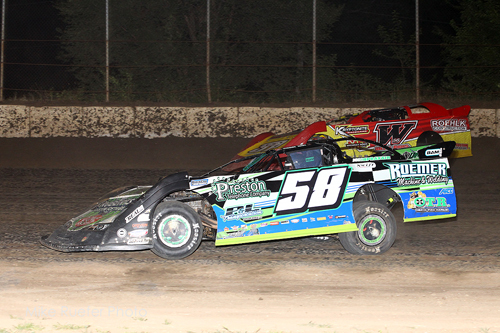 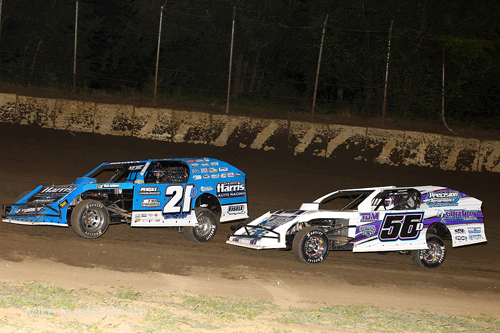 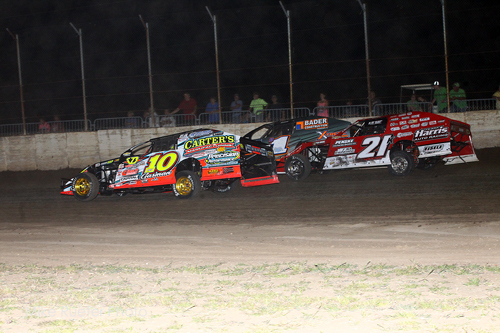 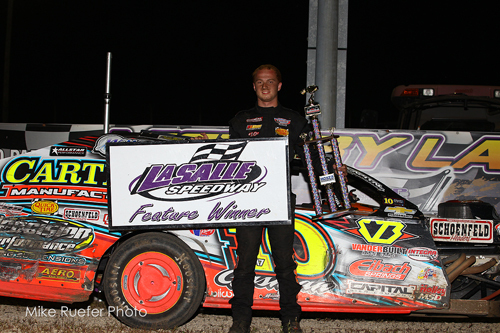 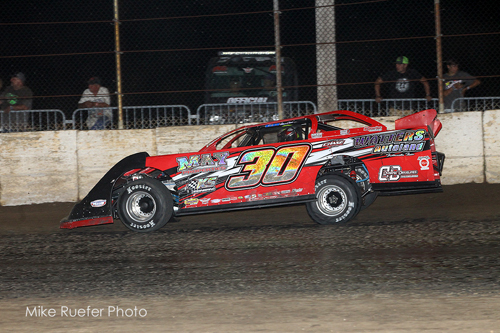 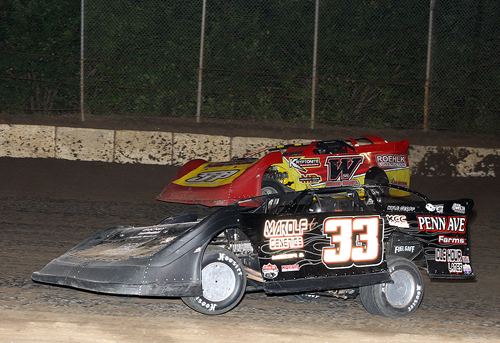 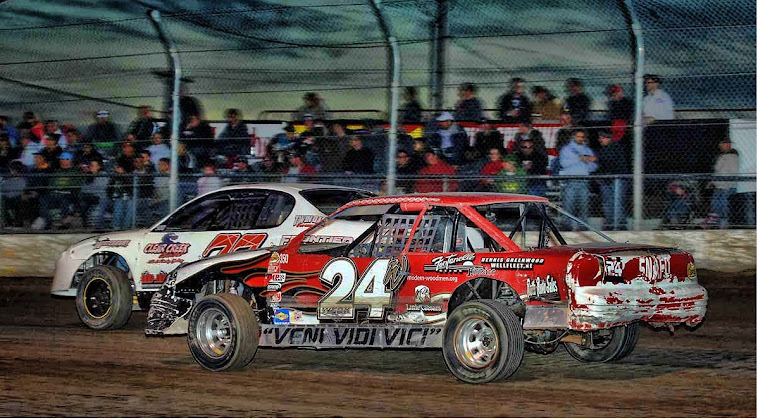 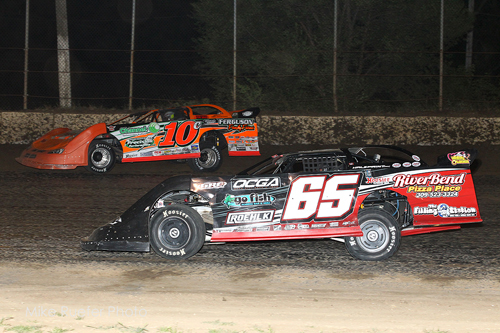 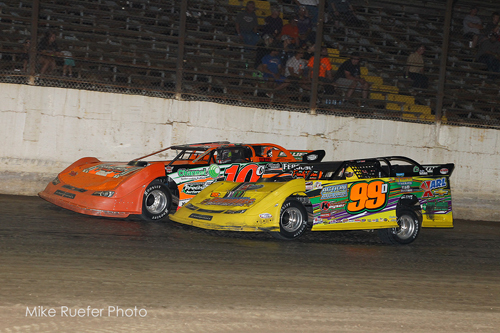 Chad Holladay of Muscatine, IA, won the Deery Brothers Summer Series event at LaSalle Speedway on Saturday evening. 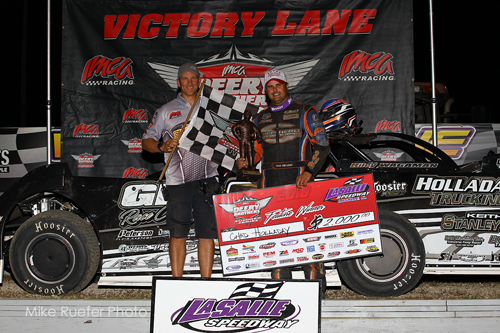 IMCA's Kevin Yoder presents the checkers in victory lane. 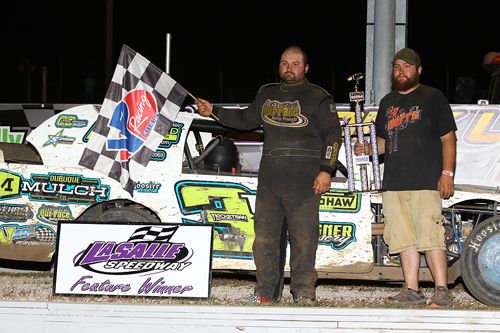 Tyler Soppe of Sherrill, IA, won the IMCA SportMod feature. 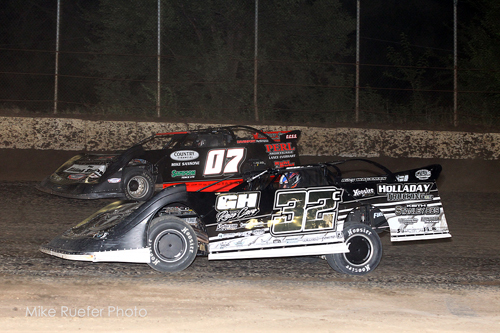 Cayden Carter of Oskaloosa, IA, was first to the checkers in the IMCA Modified A-main.